A family have thanked a kind stranger who rushed to help a grandmother who called the wrong number for help after a fall. 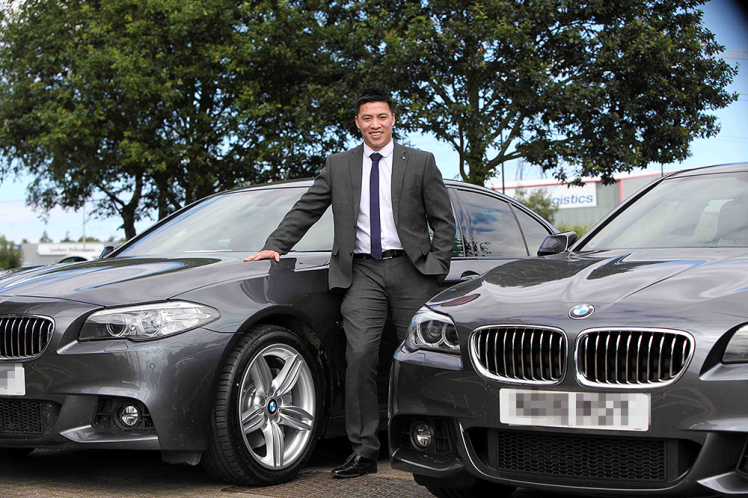 Dang Vuong, car sales manager at Stratstone BMW, Silverlink, Wallsend, was having an ordinary morning at work, until he got a phone call from a distressed pensioner. The elderly lady had misdialled while trying to call her daughter for help, after slipping while running a bath. Though the call wasn’t meant for him, Dang didn’t think twice about hurrying to help her. What a guy. He said: ‘She called our landline and got through to our receptionist, who asked me what to do. Dang got to the house, knocked on the door, noticed it was unlocked so went into the house. After making sure that she was safe and with family, Dang headed back to work, where he said he had a fairly busy day – though he wasn’t called to any more dramatic rescues. he modest 34-year-old said he was pleased to have helped, but thinks he was just doing what anybody would. He said: ‘I would have thought anyone would have done the same, especially with her being an old lady. I didn’t even think about doing anything else. Sara Tweedy, whose grandmother Dang rescued, said that without the salesman’s intervention, it would have been a couple of hours at least before anyone arrived.